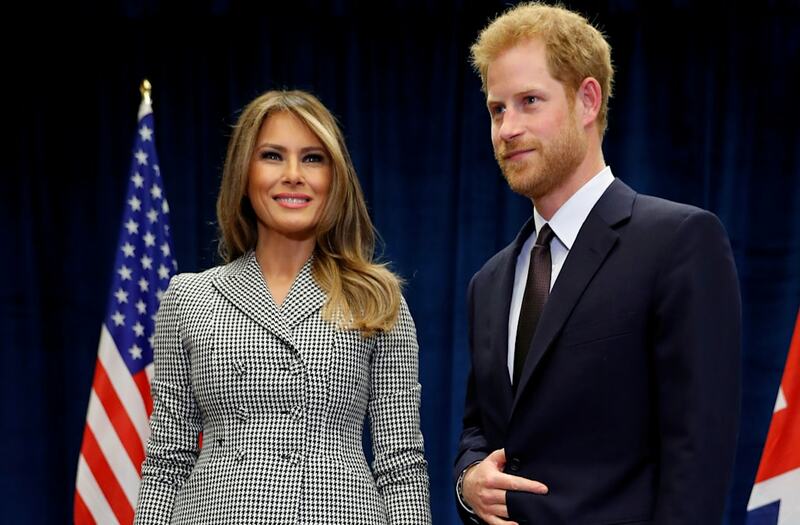 TORONTO (Reuters) - U.S. first lady Melania Trump, on her first solo international trip, on Saturday invited Britain's Prince Harry to visit the White House. Trump, 47, who was in Toronto for the opening ceremony of the Invictus Games for wounded soldiers, wished the U.S. team luck in a brief speech. "On behalf of my husband and our entire country, I want to thank you and your families for all you have sacrificed to keep us safe," Trump said. “I also want to wish you good luck but I know you won't need it," she added. "Take that fighting spirit that I know you have and bring home the gold." Harry, 33, who is fifth in line to the British throne, set up the Invictus Games three years ago. More than 550 injured and wounded servicemen and women from 17 allied nations are taking part in 12 adaptive sports in the games, which end on Sept. 30. The meeting between Trump and the British prince lasted about 20 minutes, according to Trump's spokeswoman Stephanie Grisham. They will each meet separately with Canadian Prime Minister Justin Trudeau and attend the opening ceremony of the games on Saturday evening.